I am pleased to be able to communicate some very positive news and also ask for your assistance as we move into the winter season. Many of you joined us for the Louis Vuitton and Americas Cup matches at the club rooms and were treated to spectacular racing culminating in Team New Zealand’s Cup win. 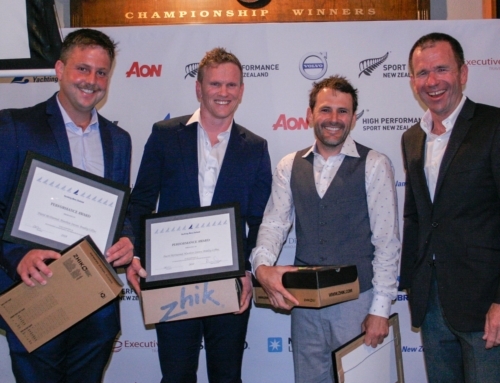 We were thrilled to see members of RAYC including Ray Davies, Nick Burridge, Blair Tuke and Peter Burling claim victory and bring world sports oldest and most prestigious trophy home to New Zealand. It was also fantastic that RAYC members Rose Dickson and Eli Liefting were winners of the RS Feva International Endeavour Regatta which was held in Bermuda during the Cup. RAYC is the home of Blue Water sailing and after our members success in Bermuda RAYC is also a clear contributor to high performance sailor development. The future is bright. It is also very pleasing that the new building is progressing on schedule and is now coming out of the ground. All piling and much of the foundation work is complete, and the building is scheduled for completion in August 2018. Winter and our temporary relocation to the Eastern End of The Landings has provided some challenges and some brilliant opportunities. Thank-you for digging deep in support of the club and working with the committees and management staff while we operate with the temporary constraints of a smaller club house and slightly less hard stand space. The winter season always is a slower period of on water activity around the club, and it’s also a period in which Club’s cash flow is challenged. This seasonal impact combined with less ability to generate venue hire and hospitality revenue from our temporary location means the Club is operating in a cash flow position which is less favourable than normal. Thank-you to those members who have helped the Club through this period by taking up the special three year (Okahu) and five year (Kokoru) membership offers. If you haven’t yet done this now is the time to take up the offer. In doing so you are getting a great membership deal with many benefits secured for today and when we open the new facility. Additionally you are positively assisting the Club’s cash position. The Club is actively working to capitalize on the recent success of Team New Zealand winning the 35th America’s Cup and is having early discussions with those involved in the 36th edition of the event. The Hyundai Marine Sports Centre, the future home of Royal Akarana Yacht Club is the perfect location for visiting America’s Cup teams with a world class facility and immediate access to the Waitemata Harbour. To celebrate the Team New Zealand win, Nick Burridge (boat captain) and Ray Davies (sailing coach) will be speaking at the Club at a special dinner to be held on Friday 14th July. Nick and Ray are both Kokoru members of the Club and are making themselves available during a very hectic time in their schedule to tell us about how they played key roles in winning the Auld Mug, the oldest sporting trophy in the world. Tickets are limited to 50, and all funds raised will be applied to the Club through this winter season. Get in quick to avoid disappointment and support your Club. 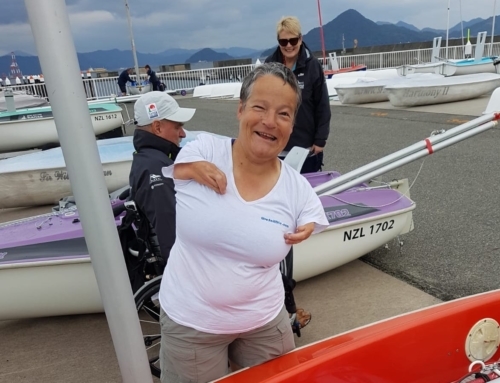 Additionally, I am very pleased to announce that we are taking the opportunity to provide professional development for Yachting & Communications Manager Suellen Davies. Suellen will be working on secondment for a period with Inspire Global Networks, a company affiliated to Hyundai New Zealand. This secondment is timely as it will greatly assist with the clubs reduced cash flow, and provide Sullen with the opportunity for development in a fast paced commercial organisation. The skills she learns will benefit her and the club on her return full time to RAYC at the conclusion of her secondment. This is a unique opportunity for Suellen to advance her skills in client relations, customer service and digital marketing, and the committee is extremely supportive of the move. Suellen will continue her employment with the club one day a week to complete various tasks. The current plan is she will be based at the Inspire Global Networks, Mt Wellington office on Monday, Tuesday, Wednesday and Friday and at the club on Thursday mornings, Suellen will still have access to her email and phone however may not be available to respond as quickly as in the past; however we will review this regularly with Suellen, Inspire Global Networks and myself to ensure this is practical for all parties. General day to day duties will be shared amongst the existing staff and committee members. Shelley Liefting stays on as Academy Manager working 10 hours a week during winter with hours increasing as we approach the busy summer period. Kerry Ash, looking after the administration and accounts is based at the club on Monday, Wednesday and Thursday. Naomi Hickin keeps the Akarana Café operating on a Saturday and Sunday morning during winter with opening hours to be extended during summer. Be generous in the donation of your time to help with club activities, existing facilities maintenance, and planning for next seasons sailing, paddling and academy activities. Sign up and pay for an Okahu (3 Year) or Kokoru (5 year) membership now. Become a sponsor of the Club. Opportunities available across the board and can be tailored to your sponsorship commitment and desired outcomes. Make a donation to the Club. Support the café that is open on the weekends.